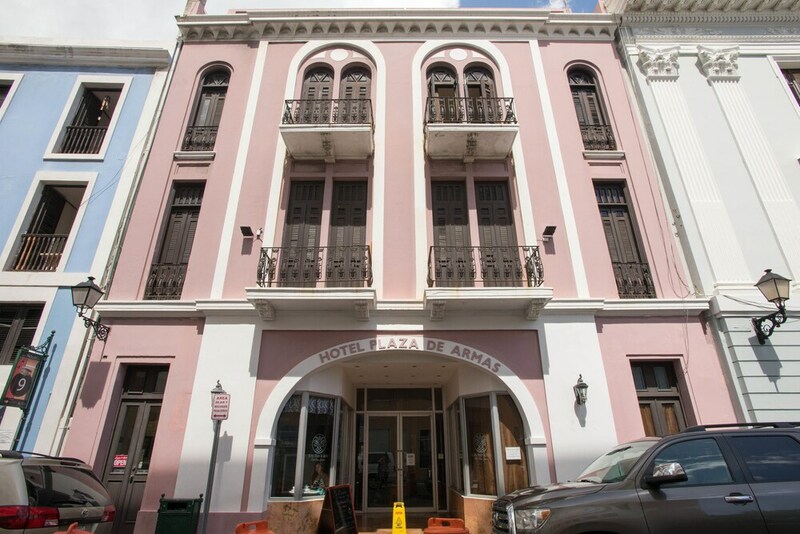 With a stay at Hotel Plaza De Armas Old San Juan in San Juan (San Juan Antiguo), you'll be steps from San Juan Cathedral and 3 minutes by foot from La Fortaleza - Palacio de Santa Catalina. This hotel is 0.3 mi (0.5 km) from Paseo de la Princesa and 0.4 mi (0.7 km) from Plaza de Armas. Make yourself at home in one of the 51 air-conditioned guestrooms. Cable television is provided for your entertainment. Bathrooms have showers and hair dryers. Conveniences include safes and desks, and housekeeping is provided daily. Make use of convenient amenities, which include complimentary wireless Internet access and concierge services. Guests can catch a ride on the complimentary shuttle, which operates within .3 mi. Satisfy your appetite at the hotel's coffee shop/café. Cooked-to-order breakfasts are available daily from 6 AM to 1:00 PM for a fee. The hotel offers a coffee shop/café. Public areas are equipped with complimentary wireless Internet access. A complimentary area shuttle within .3 mi is available for guests. This Victorian hotel also offers tour/ticket assistance, multilingual staff, and concierge services. Hotel Plaza De Armas Old San Juan is a smoke-free property. Cooked-to-order breakfasts are available for a surcharge and are served each morning between 6 AM and 1:00 PM. Standard, non-suite rooms do not have windows. This property's policy is to refuse certain bookings for the purpose of group events or parties, including pre-wedding stag/bachelor and hen/bachelorette parties. Only registered guests are allowed in the guestrooms. No pets and no service animals are allowed at this property.